Custom Girls Dress. 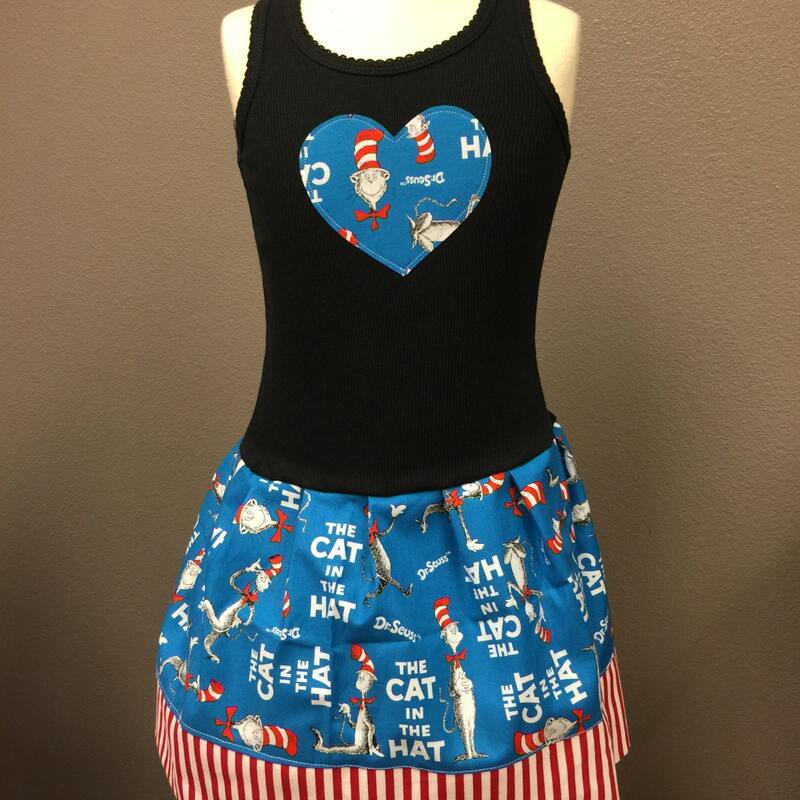 Made with Dr. Seuss, Cat in the Hat Fabric. 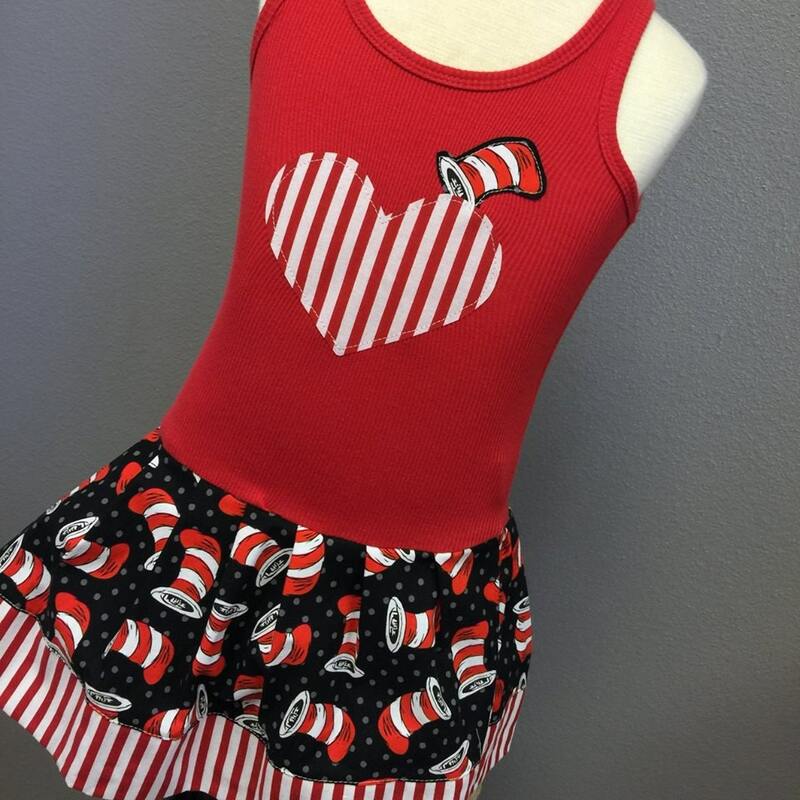 This adorable dress perfect for any lil Dr. Seuss fan. Our dresses run very true to size. We do not suggest upsizing without talking to us first. If this is for a birthday, we can add a number instead of the heart for the same price...just put your request in the notes at checkout. 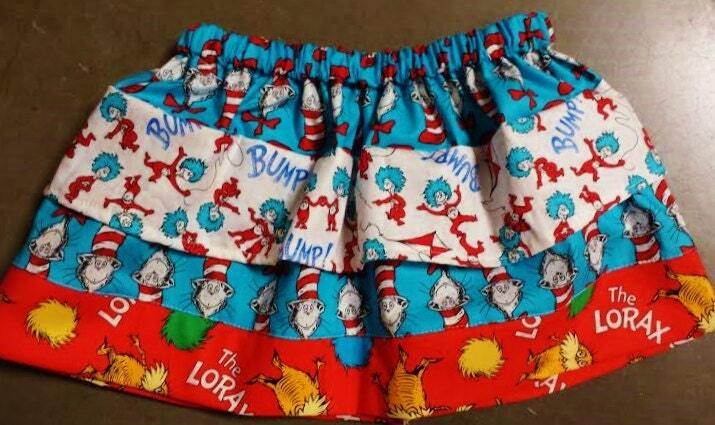 We will do the number in the Dr Seuss fabric. You can also add your childs name under the applique. This is usually done in white. Thank you for making and shipping it so quick. The quality is amazing. 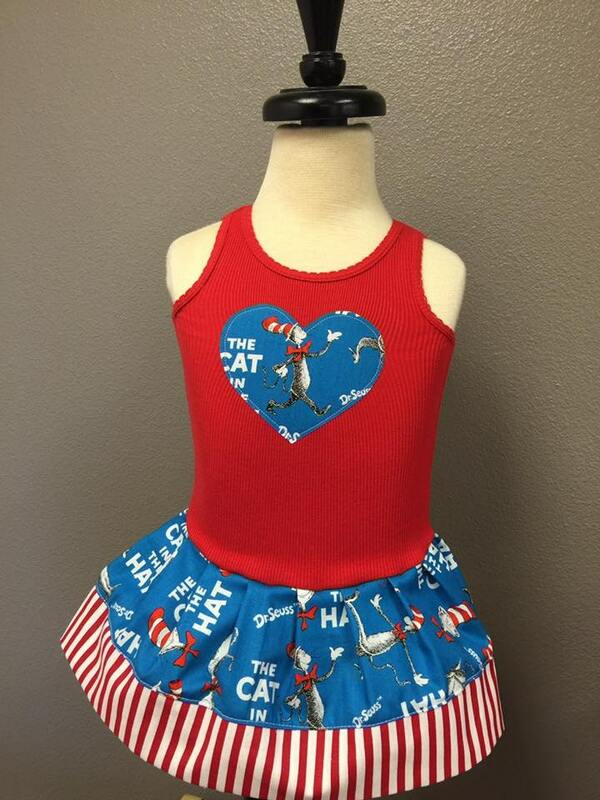 My daughter was beyond excited to wear this for her Cat in the Hat Skating party. I couldn't be happier, thanks! 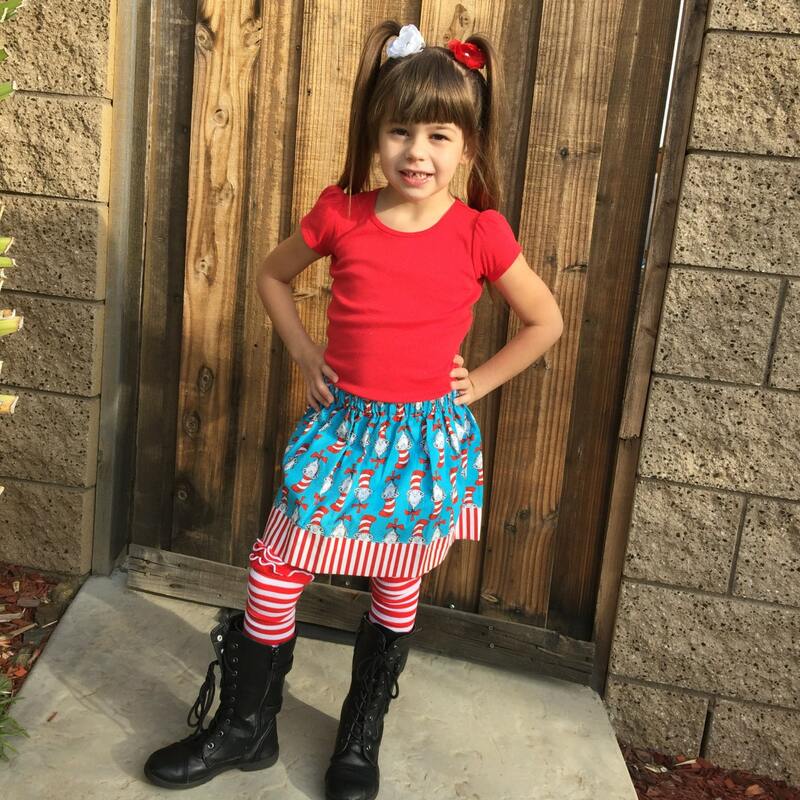 Perfect for her cat in the hat theme party, she hate dresses but happily wore this one without complaining, we got so many compliments on the dress !!! The store owner was very responsive and on time !!! Loved the dress so much! Thank you for all your hard work!